Need Help Planning, Designing & Building? We used a field notebook to collate all the handouts used in the field portion of the workshop (and for a few in-class exercises). 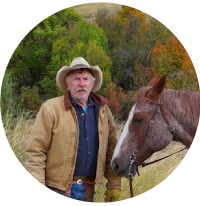 Idaho rancher Jay Wilde from Mink Creek will share his story about reintroducing beaver into Birch Creek to try to restore perennial flow to the creek he, his family and his livestock depend on. 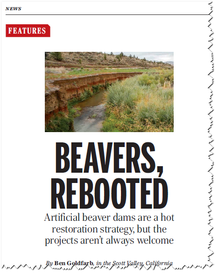 "Ranchers & Scientists Helping Rodents Mitigate Drought - The Story of Bringing Beaver Back to Birch Creek"
Jay's story is mentioned in this June 7th Article in Science! 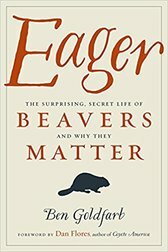 Jay is also featured in Ben Goldfarb's new book: Eager. All of our Day 2 field activities will take place on the Nature Conservancy's Red Canyon Ranch. Red Canyon is a tributary to the Little Popo Agie River in the Popo Agie Watershed outside Lander, Wyoming. 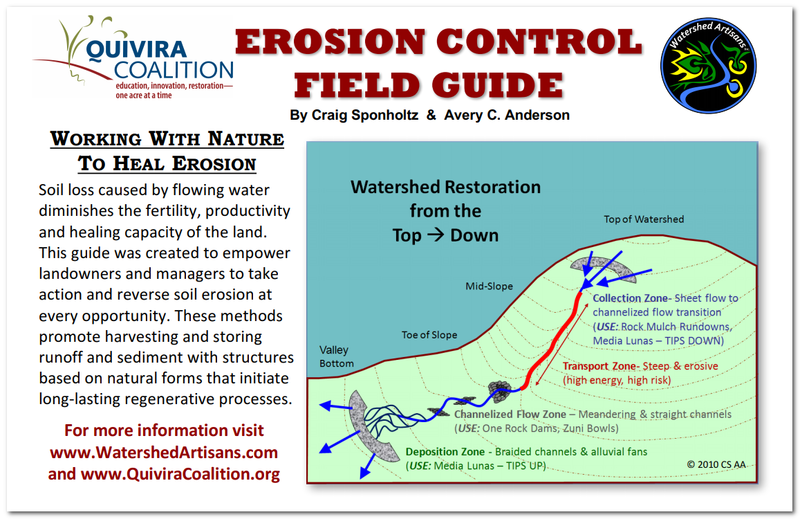 All handouts came from our field notebook, but when participants rotated through the 'Zeedyk Structures' station to build some one rock dams and Zuni Bowls, Jeremy handed out a pocket copy of the Quivira Coalition's Erosion Control Field Guide, by Sponholtz & Anderson. See other resources below too! "Why are we here? 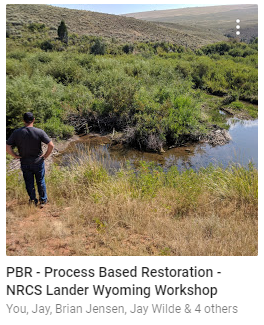 Building resiliency for wildlife and working lands"
Video from similar presentation Jeremy gave at Society of Range Management meeting in Reno this year: Restoring and Managing the “Emerald Islands” of the Sagebrush Sea: New Science, Sticks and Stones, and the Eager Beaver. 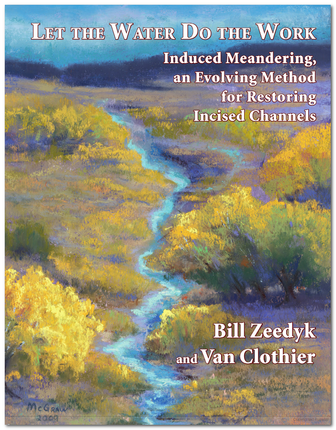 "Healthy Streams & Riparian Zones"
Although enthusiasm has grown recently, this is not the first or last round of enthusiasm for beaver or low-cost, simple structures. Joe highlights some of this above, but the link below draws on examples here in the US from the 1930s and in France from the 1860s. These ideas have been around for a long time. 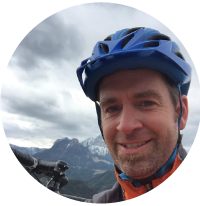 "Large-Scale Experiments Demonstrating Effectiveness of Process-Based Restoration - Low-tech"
Scott is an experienced designer and geomorphologist of Anabranch Solutions. He regularly helps clients plan, permit, design, build and monitor different types of structures. 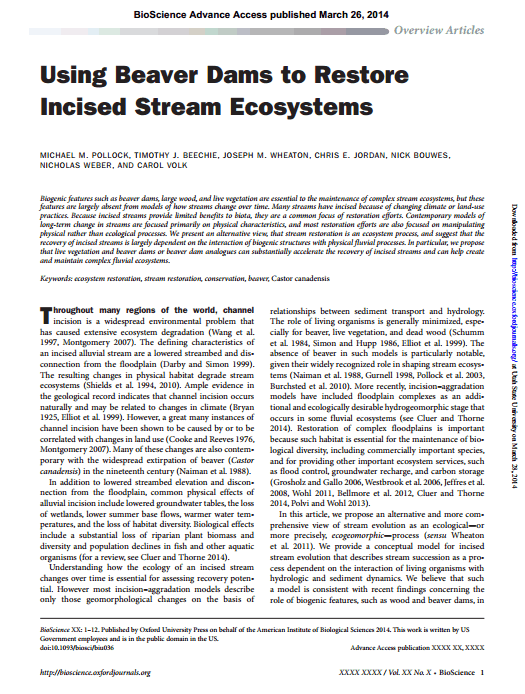 "Bridge Creek Intensively Monitored Watershed - Restoring Steelhead Populations & Incised Streams"
"Where? Picking the right places to work"
Since we rushed a little through this topic at end of Day 1, I, I recorded you a little video of this lecture and a live demo of some of the BRAT, RCAT and other planning tools..
"Adaptive Management, Pilots, Maintenance & Expectation Management"
NRCS has developed a number of supporting documents under Conservation Practice 643 to support planning and implementation of cheap and cheerful restoration techniques. Click on album above to see photos from the workshop, or to add your own! In order to install low-cost, instream structures in the State of Wyoming you need to file for a CWA §401 Water Quality Certification from the Wyoming Department of Environmental Quality, and a pre-construction notification (NWP Condition 32) with the US Army Corps of Engineers, who will subsequently determine what additional NW permits may be necessary. Always contact your USACE and DEQ staff representatives ahead of time to discuss what permits may be required for your project. In addition, BDAs may require a surface water storage right (SW-3 Reservoirs or SW-3A Special Reservoirs) from the Wyoming State Engineer's Office. Examples of some of these documents from what we installed on Red Canyon Ranch during the workshop are available below (contact John Coffman (TNC) for more information on that specific project or for examples). Both Jeremy and Nick also mentioned easy-to-use web tools for looking a NDVI (Normalized Difference Vegetation Index) and derivatives for looking at mesic habitat resources (SGI Mesic Habitat Resources) to learn about riparian vegetation through time. 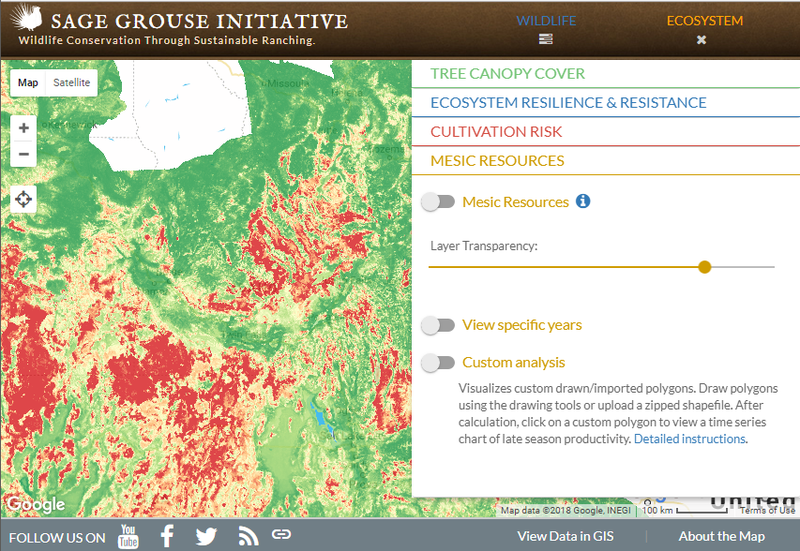 Check out the links by clicking on SGI Map or Climate Engine below! 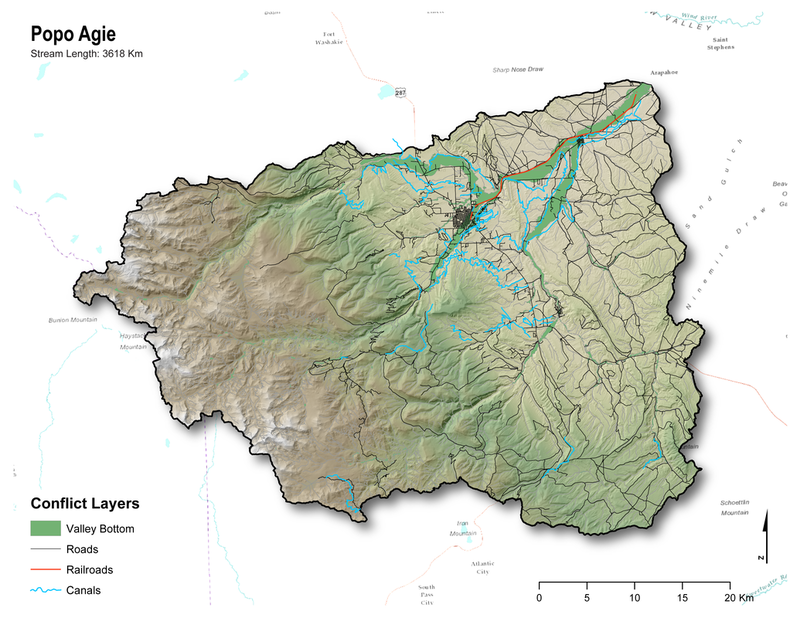 An output of BRAT for Popo Agie Watershed showing existing dam building capacities. 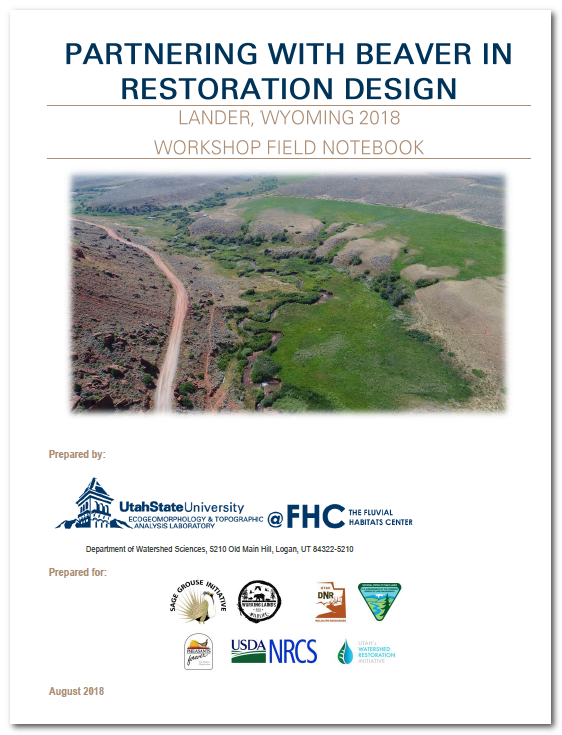 In addition to the Erosion Control Field Guide you received in the field prepared by the Quirva Coalition, NRCS Colorado released a new technical note that explains how to use cost-effective structures to improve riparian areas and wet meadows in sagebrush country. 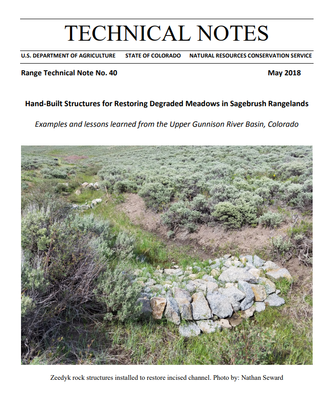 Featuring successful collaborative projects in the Upper Gunnison River Basin, this technical note is geared toward resource managers looking for relatively simple solutions for addressing shallow headcuts or small gullies impacting the productivity rangelands. 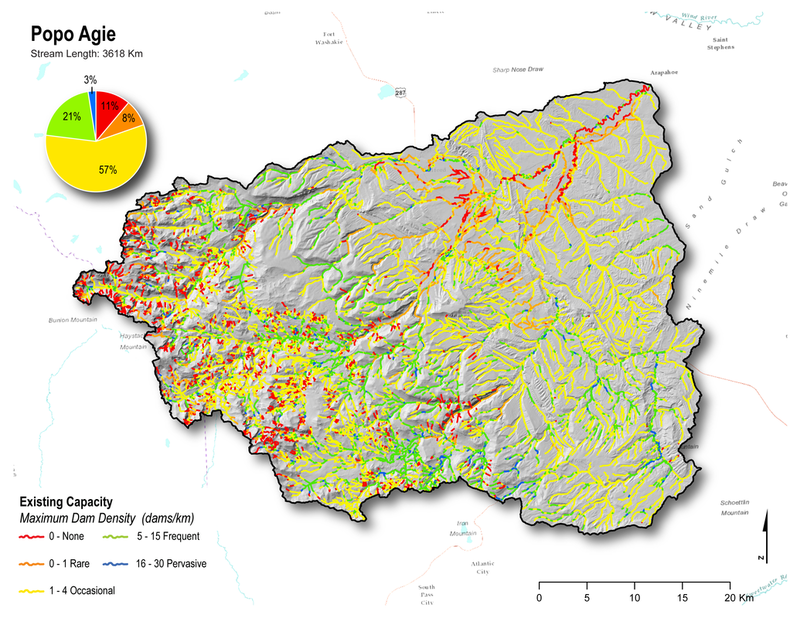 It provides information and references that help field practitioners get started by identifying opportunities, prioritizing and planning treatments, and implementing similar projects in watersheds across the West. ​Kemp PS, Worthington TA, Langford TEL, Tree ARJ and Gaywood MJ. 2012. 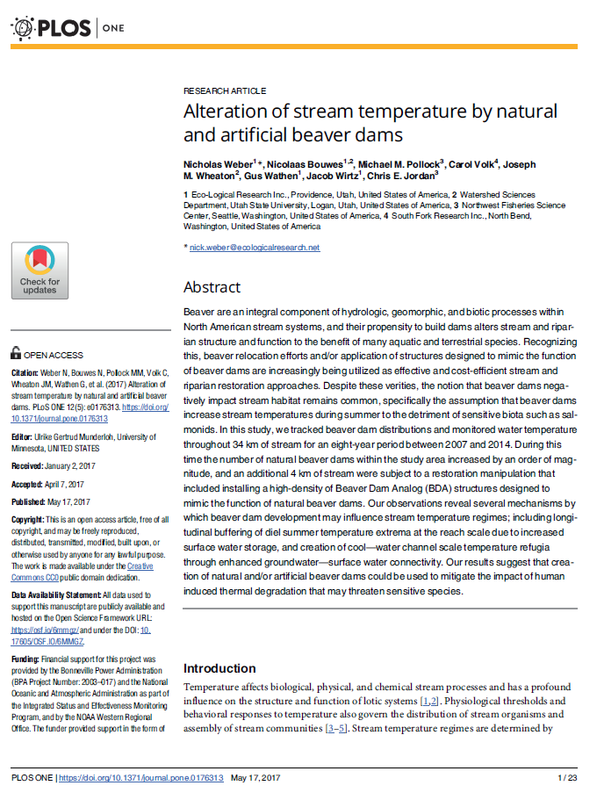 Qualitative and quantitative effects of reintroduced beavers on stream fish. Fish and Fisheries. 13(2): 158-181. DOI: 10.1111/j.1467-2979.2011.00421.x. Lokteff RL*, Roper B and Wheaton JM. 2013. 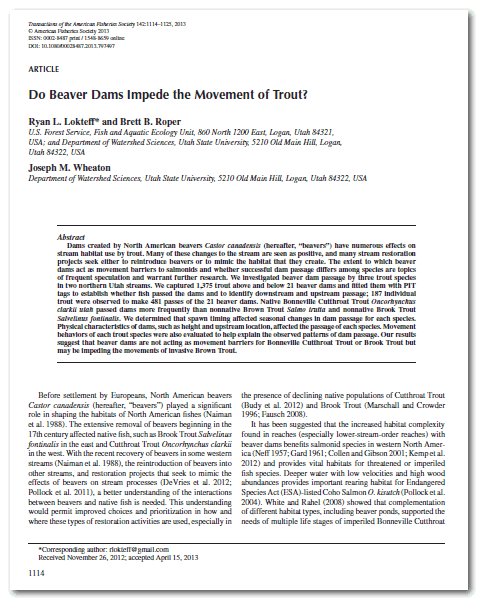 Do beaver dams impede the movement of trout? Transactions of American Fisheries Society. DOI: 10.1080/00028487.2013.797497. Bouwes N, Weber N, Jordan CE, Saunders WC, Tattam IA, Volk C, Wheaton JM and Pollock MM. 2016. Ecosystem experiment reveals benefits of natural and simulated beaver dams to a threatened population of steelhead (Oncorhynchus mykiss). Scientific Reports. 6: 28581. DOI: 10.1038/srep28581. Beyond Workshops... Need help getting started?